Big Cat Rescue receives grant...from Facebook campgain! Who doesn&apos;t love social media?! Big Cat Rescue certainly does after receiving a $25,000 grant from Chase&apos;s corporate giving campaign on Facebook. 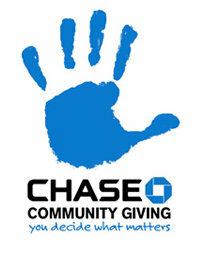 Chase Community Giving let the general public vote for the their favorite non-profit charities on the social media phenomena, Facebook. More than 1 million Facebook fans voted for their favorite charities, which included 501(c)(3) charities with an operting budget of $10 mil or less. The top 100 charities each receive the $25K grant. Big Cat Rescue should feel extremely lucky to be selected as one of the top 100. You thought that was generous? Well, starting on January 15th, you can vote for your favorite FIVE charities. The 100 charities receiving grants can submit a grant proposal to Facebook users describing how they would make a difference in their local communities. The top FIVE charities will receive $100,000 grants and the charity with the most votes will receive a $1 million grant! You thought I was done, huh? No, no, my friend...The Chase Community Giving Advisory Board will then select additional nominated charities to share in another $1 MILLION! How sweet is that?! It&apos;s nice to see a company giving back to communities across the country. Mark your calendars - voting begins in 2 days! Click here to vote for your favorite charity - and hopefully they&apos;ll win the whopping $1 mil! Wait, I thought I was done talking about all of the giving that&apos;s going to take place, BUT believe it or not, there&apos;s more giving to be had! Chase will allow each advisory board member who does NOT work for Chase or Facebook to select their favorite charity and Chase will give a $25,000 grant to those charities. It&apos;s like Christmas all over again! Check back for more things to do in Tampa Bay info and on all of our Tampa Florida attractions!